Our wheels are built for performance. They are not city wheels, touring wheels or random riding off-road wheels. When we design our wheelsets, we design them to extract every single ounce of advantage possible, to make cycling easier and more enjoyable…. OK and to get you to the finishing line quicker. We believe that everyone should be entitled to racing wheels. People should not have unfair advantages just because they have deeper wallets (that’s what the outside world is for). 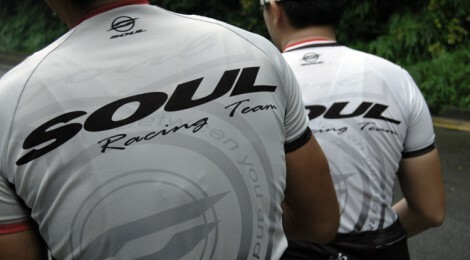 So at SOUL Bikes, if you present a racing license to us, we will give you 20% off all our tubular wheel models. If you are part of a cycling club and are looking for great wheels for everyone to enjoy cycling, then contact us to work out a deal. We are open to all your suggestions; we’re most happy to explore possible ways to get our wheels out to more people so they can also share in the enjoyment we derive from creating them. Since we are on the subject, we would also like to lay claim to being one of the first few companies to release wheels with red endcaps and also black decals!!! We originally called them Ghosted Graphics, but others have since come out with their special names. That’s not a credit to us, but it’s a reflection of our attitude of listening to our customers, because that’s what we were told they wanted.